A classic utility designer scroll! 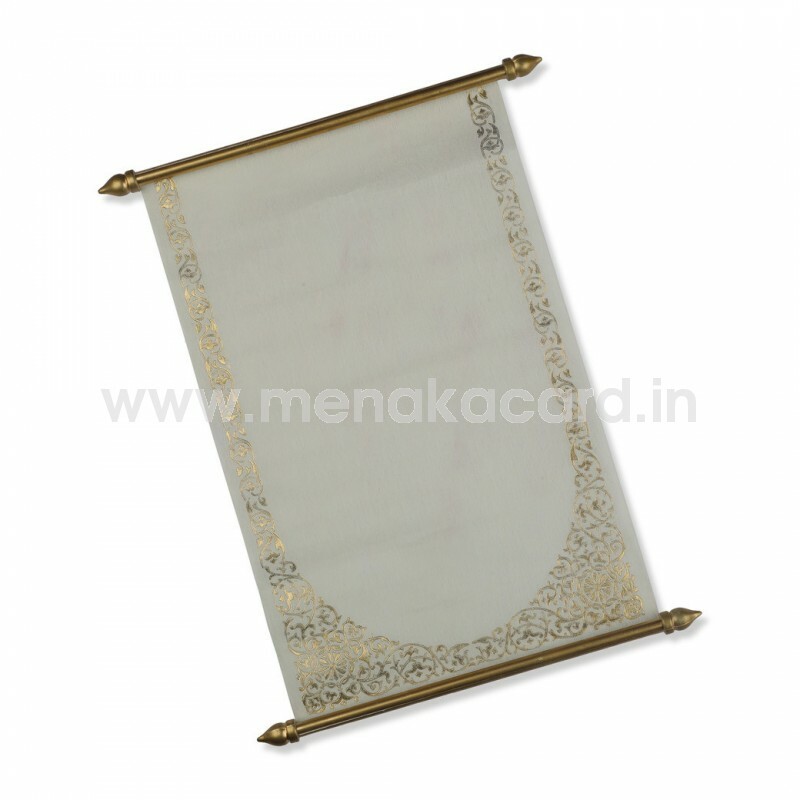 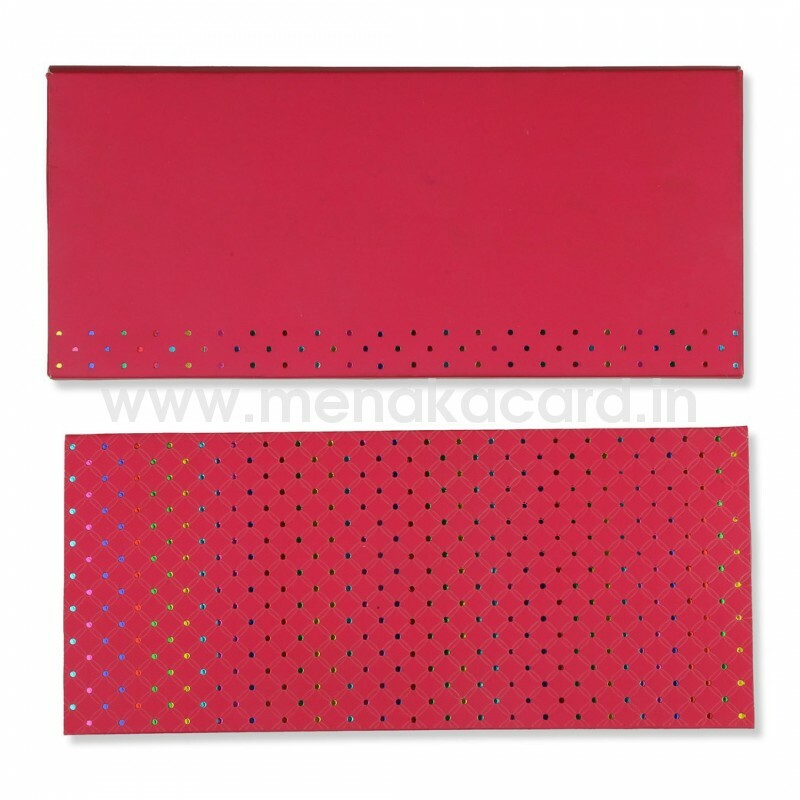 A beautiful dotted design is printed on the box and envelope. 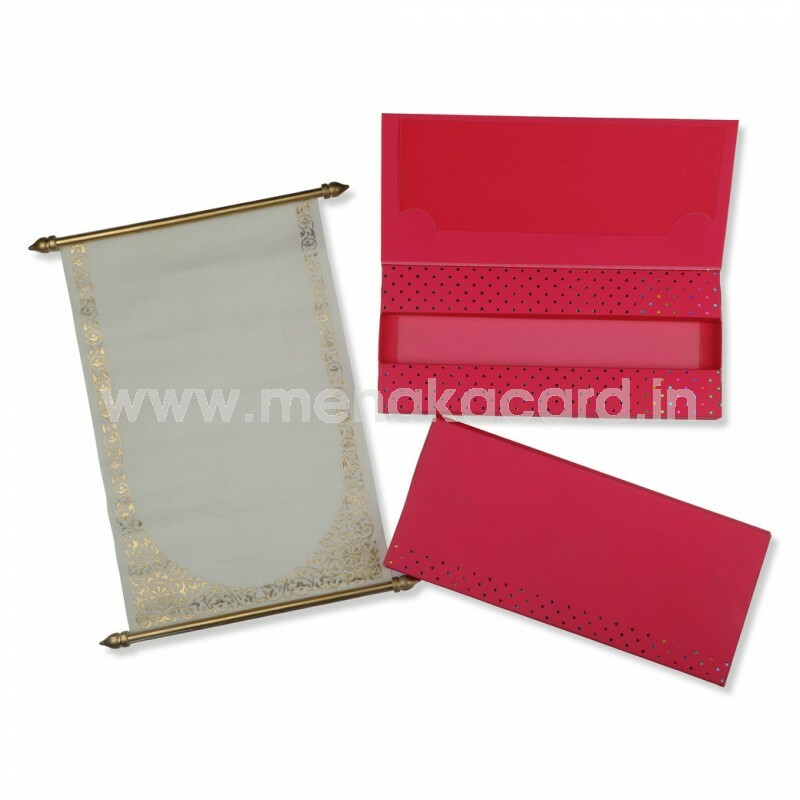 The scroll is plain with arch design.The container box envelope holds the scroll with inside top half having a pocket to hold insert.